Marion Junice Louise (Dahlman) Carlson was baptized and confirmed at Bethany Lutheran church in Minneapolis. While growing up with her sister Elaine in South Minneapolis on 38th Avenue, Marion attended Julia Ward Howe grade school, Sanford Junior High and Roosevelt High School. As a young adult she worked on account transfers for the Federal Reserve Bank(Commodity Credit Banking & wire transfer). Later Marion took a job at Dayton’s department store as a personal secretary to the Welfare Director and a medical doctor until 1960. It was here where Marion met a close knit group of gals and formed a club they called the “Dayton Girls”. The Dayton Girls went on vacations, celebrated births, attended weddings & funerals together and was a great support group which lasted well over 50 years. In 1957 Marion met her husband, Charles John Carlson, through mutual friends Janet and Bob Lindeen. They fell in love and were married on Valentine's day two years later. Once married they moved to an apartment near the University of Minnesota, and shortly after, in 1960, moved to a house of their own in Fridley, MN. In Fridley, Marion and Charles raised their two sons Craig and Kent. Marion provided care for her elderly parents when they eventually came to live with the family. In 1989, Marion became a grandmother to her first grandchild Grant, and happily welcomed each new addition over the years. She loved and doted on all six grandchildren, Grant, Matthew, Kacey, Christopher, Benjamin, and William. She loved visiting and spending time with her grandchildren as often as possible. She also liked to sew clothes for them and created a Christmas tradition of making all of her grandchildren a pair of pajamas. Some of Marion’s hobbies were quilting, sewing, shopping, taking pictures, baking, and vacationing. In addition to all the cookies she baked for Christmas, Marion always baked a loaf of Julekage (Norwegian Christmas Bread) for each of the families to enjoy on Christmas Day. Marion loved chatting on the phone with her sister Elaine. She always welcomed phone calls from loved ones and friends. Marion’s travels took her to Arizona, the Bahamas, the Black Hills, New York, Niagara Falls, Philadelphia, the Rockies, Washington DC, and Yellowstone Park and several trips to San Francisco, California. In 1988 Marion realized a lifetime ambition to visit her parents’ homelands, Norway and Sweden. On the trip Marion had a great time and met relatives from her father’s side of the family in Lessebo Sweden, and from her mother’s side in Maurnes, Norway at the Vesteralen Islands near the arctic circle. 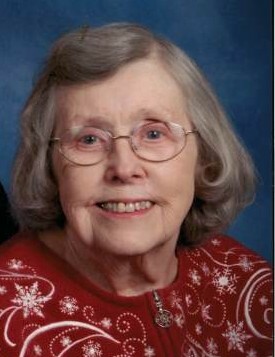 Marion also enjoyed going up to Northern Minnesota to stay in cabins and liked to go boating and fishing on the lakes. Marion passed away at home, peacefully in her sleep at the age of 94 years. She is preceded in death by her parents, Elis and Marie Dahlman; sister Elaine (John) Olson. She is survived by husband Charles; sons Craig (Leslie) Carlson and Kent (Marcy) Carlson; grandchildren Grant (fiancée Katie) Carlson, Matthew Carlson, Kacey Carlson, Christopher Carlson, Benjamin Carlson, and William Carlson; nephews John (Joan) Olson, Tom (Deb) Olson, Jim (Lisa) Olson. A funeral service will be held at Redeemer Lutheran Church, 61 Mississippi Street NE, Fridley, on Wednesday, April 04, at 11:00AM with a visitation one hour prior. Interment at Fort Snelling National Cemetery.